Proper aeration is a must. 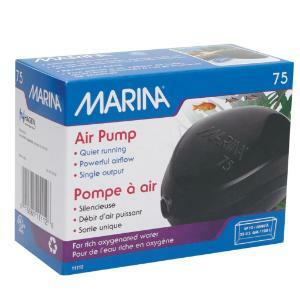 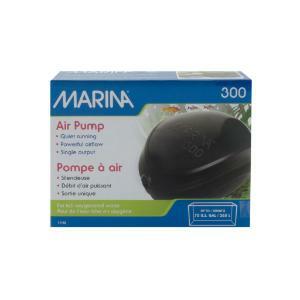 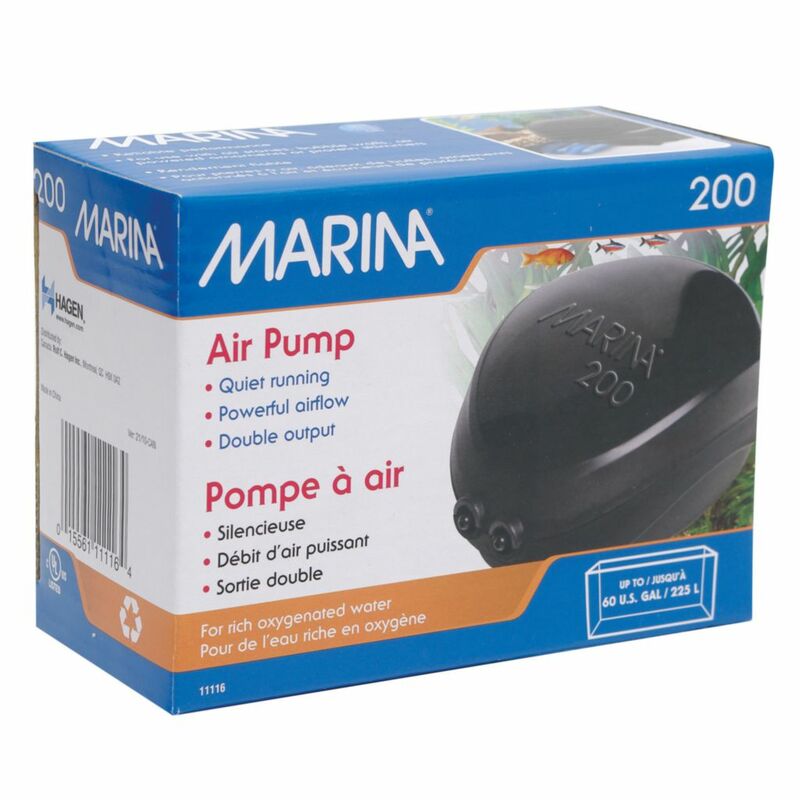 The Marina air pumps combines high performance output with quiet operation. A reliable source of air for increasing water movement and turbulence for proper oxygenation. 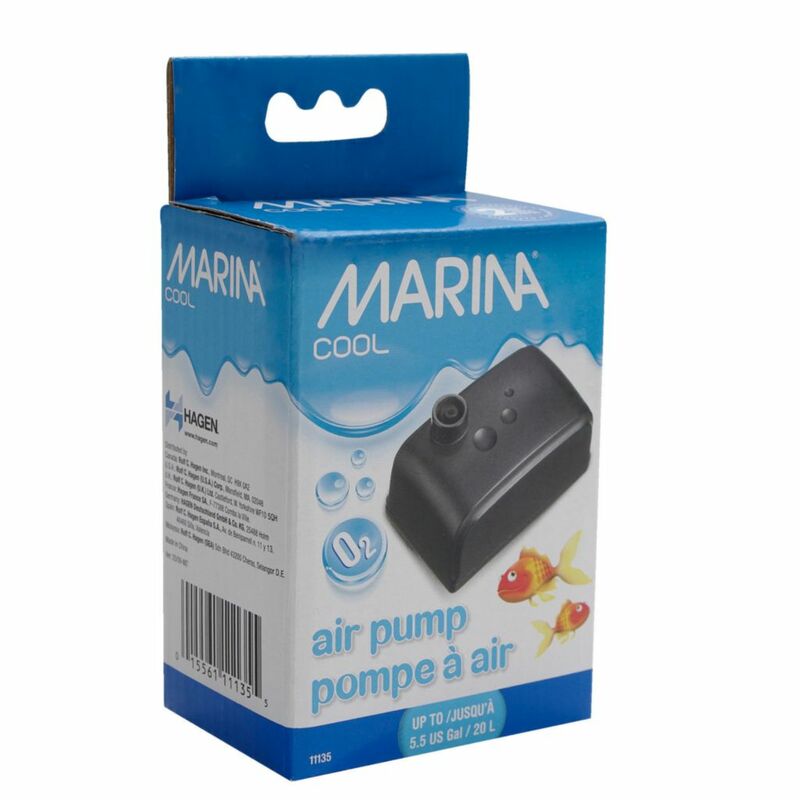 They can also be used to operate items such as air stones, air curtains and air-actuated ornaments. 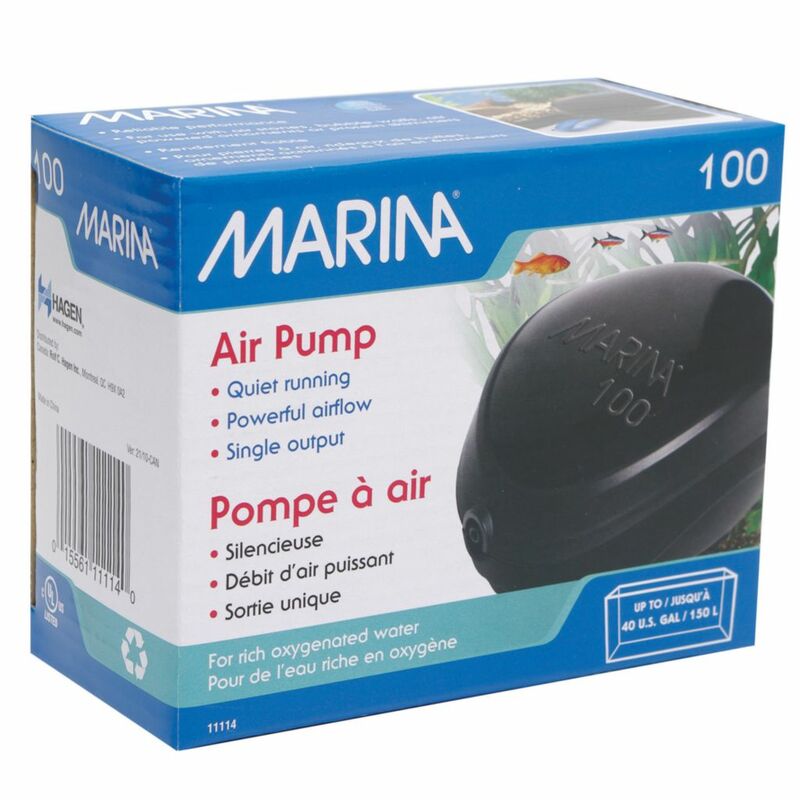 Each has a single outlet. 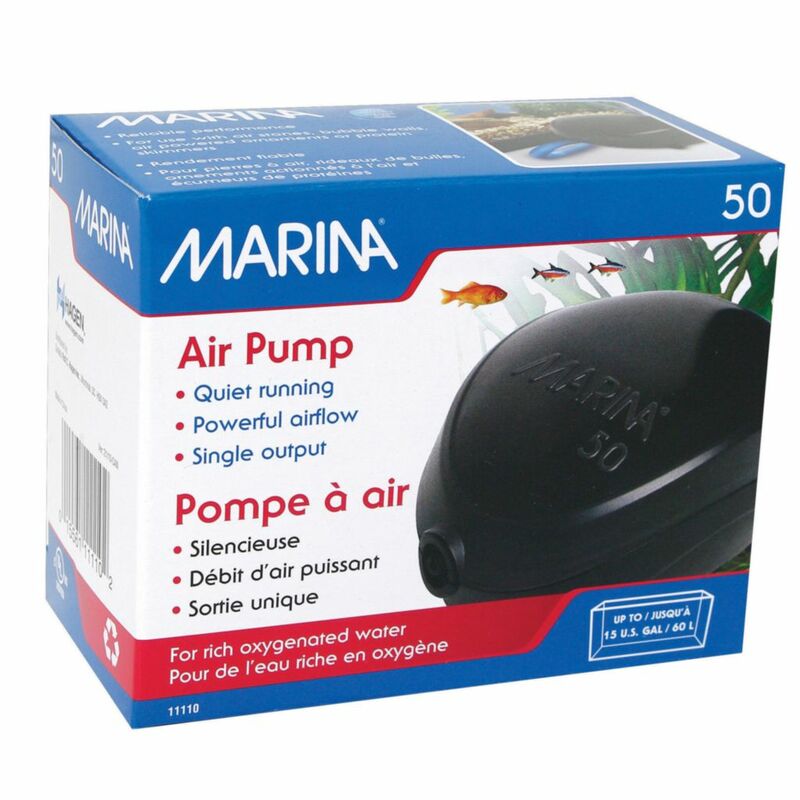 Indicated size for each pump is the recommended Maximum tank size. 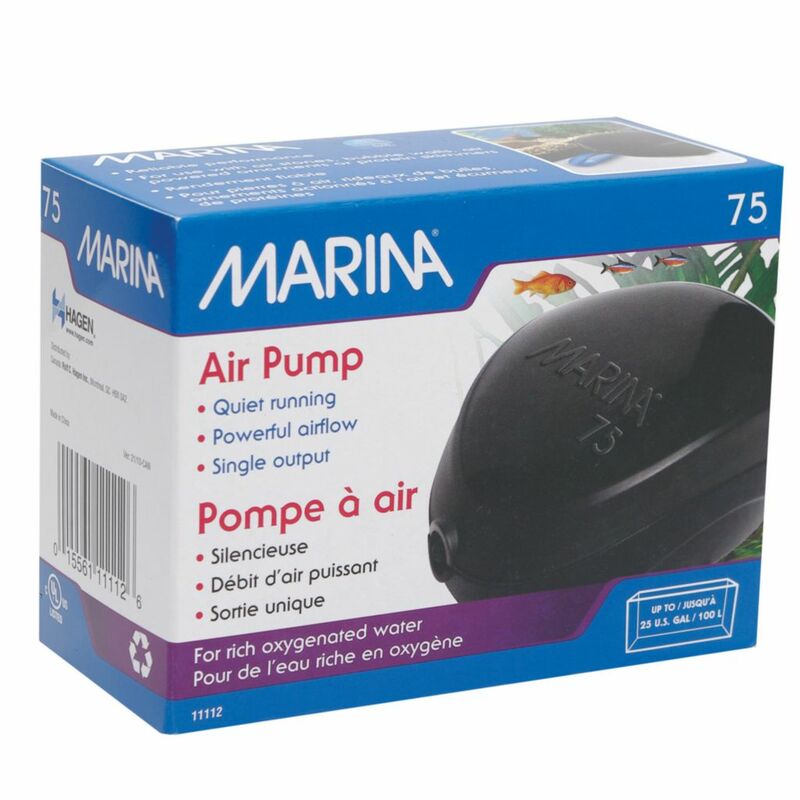 If you plan on running multiple airlines (air stones, ornaments filters etc. ), you should choose a larger air pump.